This is learning prime time, the magical period when children begin to discover their individuality, explore their emotions, and relate more deeply to others, including animals. They learn to take turns and share. And they develop empathy and curiosity that support social-emotional and academic learning. It’s also a period of imagination and independence, with both negative and positive consequences. 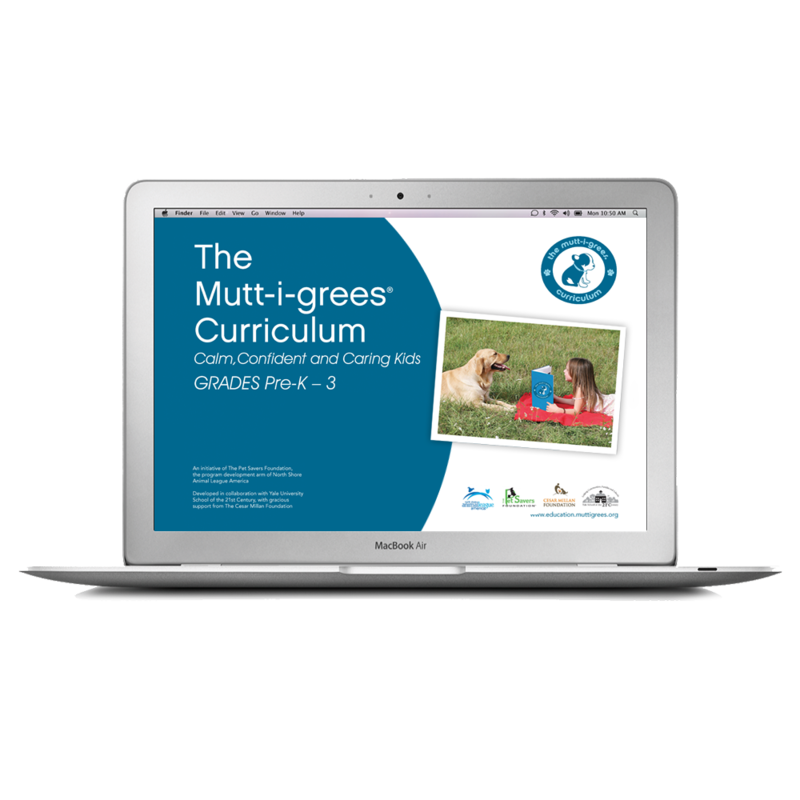 Using the child’s spontaneous affinity for shelter pets, this Curriculum Kit supports positive growth and compassion inside the classroom and beyond. Get 15% off Muttigrees at Home, Plush Cat Puppet, Plush Dog Puppet, and Backpacks when you order this digital product.